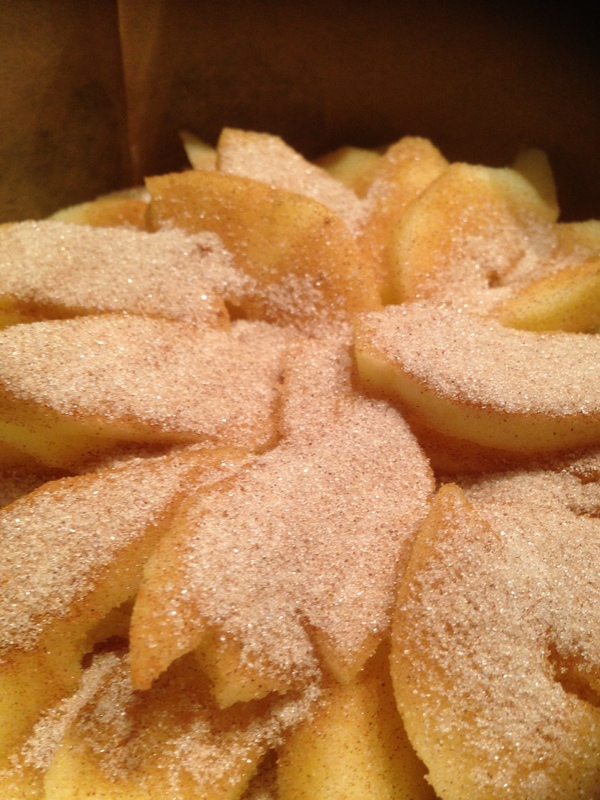 I love the sound of this recipe and love all things that involve apple and cinnamon.. 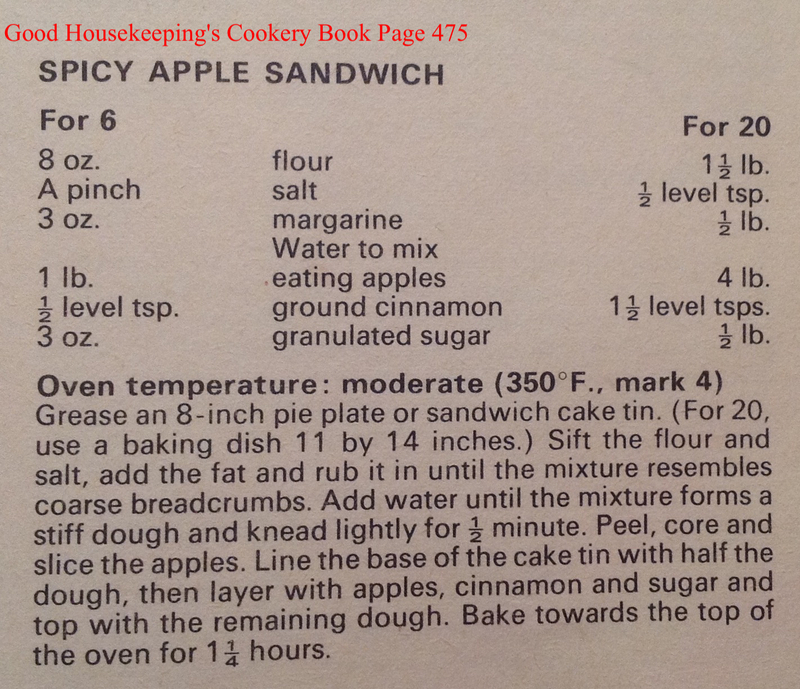 I think I actually imagined this to be made with more of a sponge rather than a pastry. 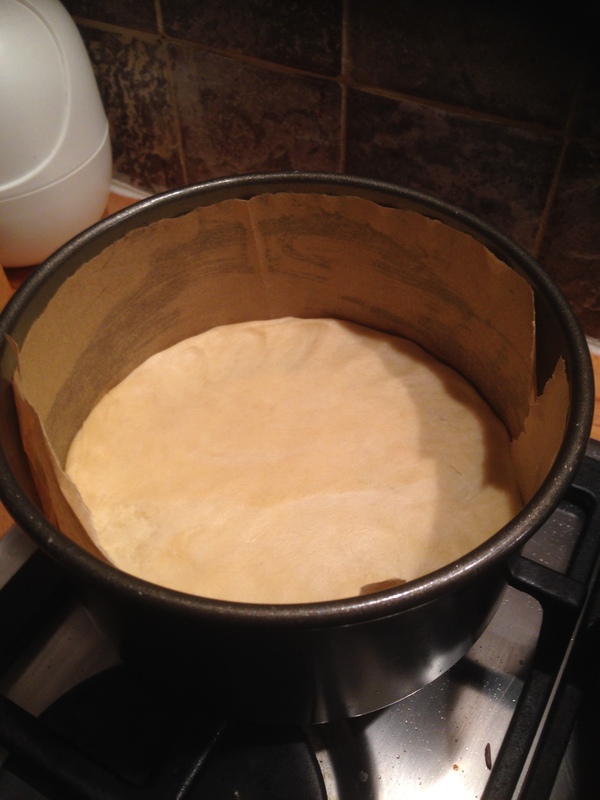 I made up the pastry and rolled out half of it to line a cake tin. 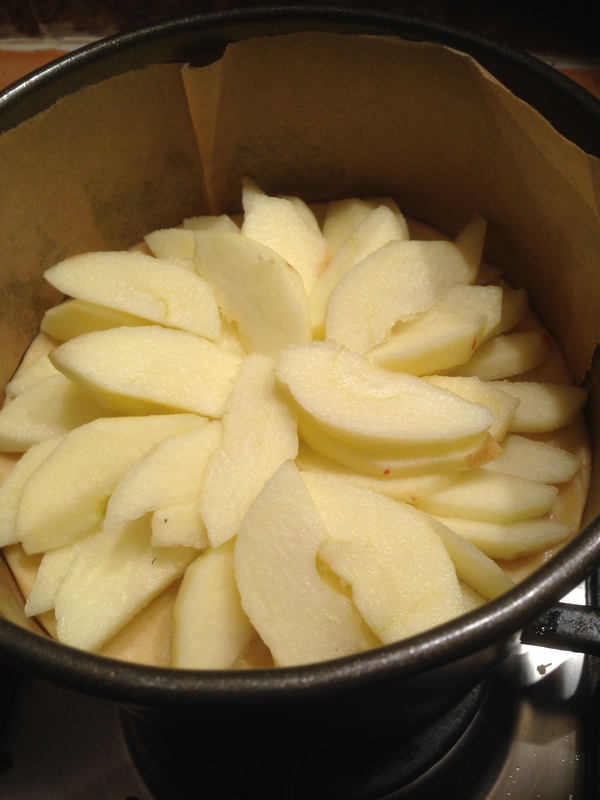 I had halved this and was using a 6 inch cake tin.. 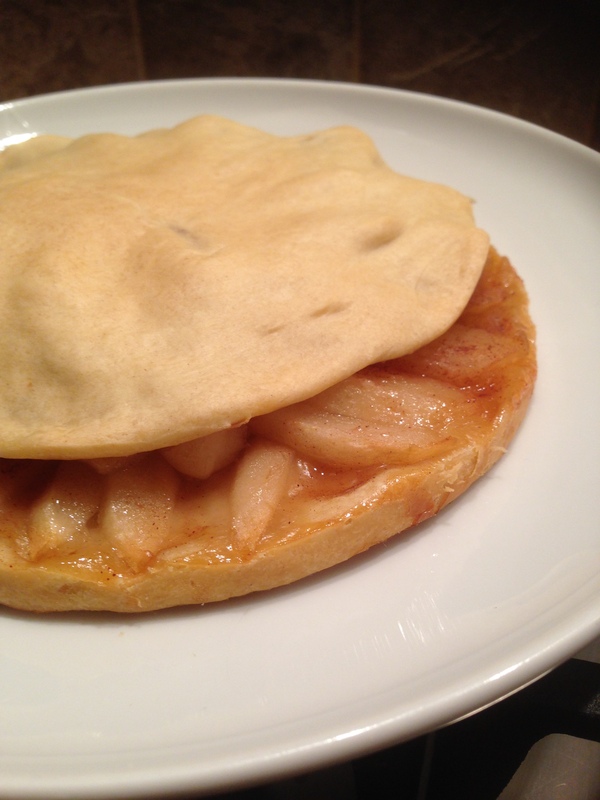 I needed 2 apples for this and perhaps could’ve made more of an effort to place them in some sort of a pretty design but I just kind of throw them on top of the pastry! 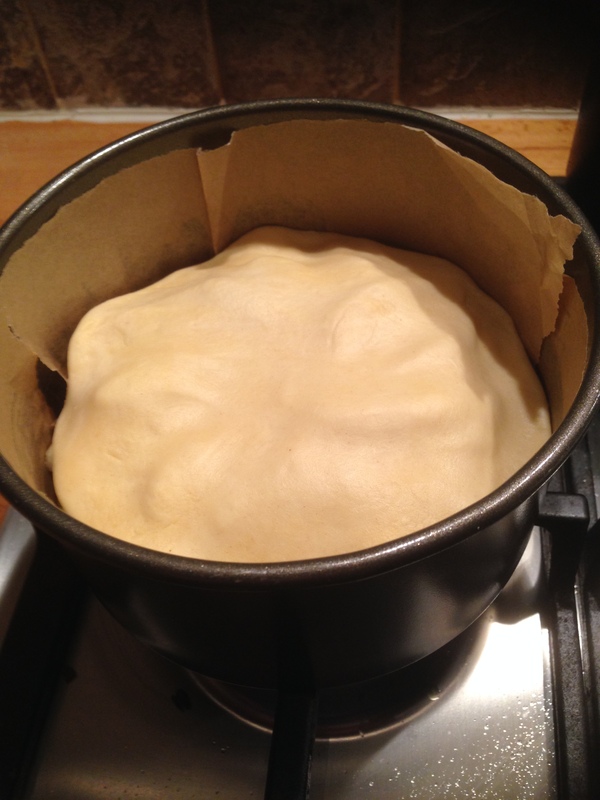 Then I sprinkled over the sugar and cinnamon..
Then that was topped with the rest of the pastry..
An hour and a quarter seemed like an awfully long time for this to cook, but even after all that time it was just a light golden.. I have to say this smells amazing! I cut into quarters and probably should’ve picked up some cream to have with it.. So I know this doesn’t looking particularly exciting but it tastes pretty good! 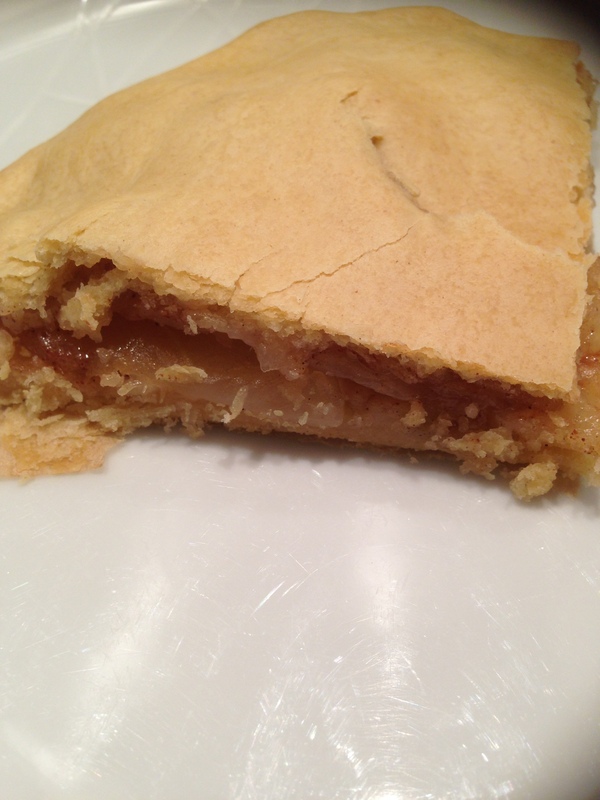 The pastry is nice and crisp but some bits are all sticky from the apples and sugar which is fab. The filling is soft and tastes great! Indeed! I could’ve eaten the lot! !